Ted Cruz, a Republican senator from Texas, is currently second to Donald Trump in the Republican presidential nominee polls. Courtesy photo. As the race to the White House heats up, it’s important for farmers and ranchers to research the candidates and decide for themselves who will best represent the agriculture industry in Washington, D.C. In the upcoming weeks,Tri-State Livestock News will feature leading presidential candidates from both sides of the aisle. This week’s feature focuses on Senator Ted Cruz (R-TX), who won a victory in the Iowa Republican caucus, but is sitting second to Donald Trump in the latest polls. Here’s what you need to know about Cruz’s take on key issues that would impact agriculture in the future. Many corn farmers in Iowa weren’t too thrilled to welcome Ted Cruz to their state, given his history in opposing the Renewable Fuel Standard (RFS) and ethanol subsidies. Iowa produces 30 percent of the nation’s ethanol and has created a $5 billion state corn-based fuel industry. In the same video recording of Cruz’s conversation with an Iowa farmer, he addressed a big concern for many farmers and ranchers — the Environmental Protection Agency’s overreaching WOTUS rule and the Clean Power Plan. “Cruz has promised to eliminate the death tax, which protects farmers, ranchers, and other hard-working folks and the legacy they want to pass onto their heirs, most often so they can continue operations,” said Lambert. Cruz’s tax reform plan includes a simple flat tax, where all income groups will see a double-digit increase in after-tax income. The current seven rates of personal income tax will collapse into a single low rate of 10 percent. For a family of four, the first $36,000 will be tax-free. In the first decade, the simple flat tax will boost gross domestic product by 13.9 percent above what is currently projected; increase wages by 12.2 percent; and create 4,861,000 additional jobs, according to the Cruz campaign’s projected numbers. In addition, Cruz’s website indicates his plans to cut regulatory tape for small businesses, repeal Obamacare, harness the nation’s energy resources, approve the Keystone Pipeline, and strengthen the American dollar. “Cruz is going to insist on less government intrusion into the daily business of America through elimination of overbearing regulations,” added Lambert. “He’s also going to eliminate Obamacare and let the healthcare market compete interstate to reduce costs. He’s going to balance the federal budget once and for all. By far, the biggest threat to America is bankruptcy of the federal government. Obama wanted to fundamentally change America, and he did, in my opinion. Now it’s time to clearly articulate the principles that we were founded on and follow those principles to get our country on a better track. 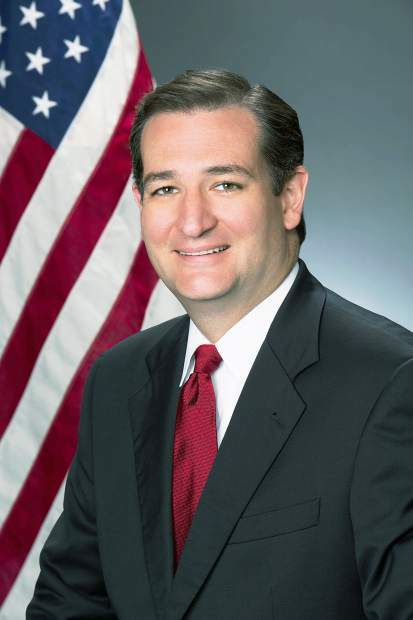 Many Texas ranchers have been vocal in their dislike for Senator Cruz; however, his popularity in Iowa proves he might be able to gain traction with the nation’s agriculturalists. Cruz’s aggressive campaign tactics in calling out Trump or Rubio make him somewhat polarizing to those who don’t like mud-slinging politics, and according to several media reports, Cruz’s fellow Republican senators don’t support him and his politics, or rather, his apparent unwillingness to play politics. Recently, Cruz testified in a Senate Commerce committee meeting to debate the Sierra Club’s statements on climate change. Notably absent were John Thune (R-SD) who is chairman of the committee, as well as Rubio (R-FL), Jerry Morran (R-KS), and Dan Sullivan (R-AK), and Cory Gardner (R-CO).